How to get rid of Arthritis (joint Pain): Arthritis is a health condition which causes pain and stiffness in body joints. Approximately, 20% people suffer from chronic joint pain and most of them don’t know the causes. Taking painkiller for joint pain relief is very common but that is not a permanent cure. First, a person who is suffering from arthritis needs to understand its causes and type. Aging is one of the causes for joint pain but not the only one. It can happen to a person at any age. There are so many treatments for joint pain but it can be cured at home with help of exercise and natural remedies. In fact, the word “arthritis” stand for joint inflammation, the term is used to describe around 200 rheumatic diseases and conditions that affect joints. It’s a serious problem because it can affect badly on person’s ability to perform everyday tasks. According to the US Centers for Disease Control and Prevention (CDC), 50 million people are diagnosed with arthritis by their doctor. 1 How many different types of arthritis are there? How many different types of arthritis are there? According to researchers, there are more than 100 types of arthritis and joint pain. The most common type of arthritis is listed below. Osteoarthritis (OA): This type of arthritis are very painful and it happens because of the protective cartilage inside the joint breaks down. In this condition, bones of the joint may rub directly against each another, result in severe pain. The severity of OA pain varies from person to person. Rheumatoid Arthritis (RA): It happens due to malfunctioning body’s own immune system. In rheumatoid arthritis, the immunity system attacks healthy tissue instead of bacteria, and virus. This type of arthritis affects on the lining of the joints, which is known as called the synovium. A person suffering from RA can feel pain in bones and ligament. Psoriatic Arthritis (PA): It is also caused by the body immunity system. This type of arthritis affects the joints, the connective tissue where tendons or ligaments attach to bones, causing enteritis, and the skin, causing psoriasis. Fibromyalgia: It is a central pain syndrome, which means brain and spinal cord gives pain signals. Pain caused by fibromyalgia may be constant or may be for a small period of time. 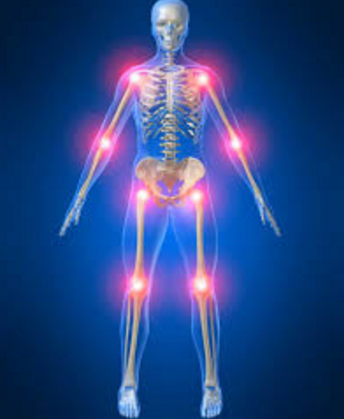 Fibromyalgia arthritis symptoms are fatigue, sleep problems, inability to concentrate and mood troubles. Back pain: If you are feeling back pain than it could be a type of arthritis. Most back pain happens because of a back injury, weight lifting, a sports injury or an accident. Lupus: It is a very serious type of arthritis and in medical terms, it is an autoimmune inflammatory disease. Lupus can affect body organs badly, including the joints, kidneys, skin, blood, and brain etc. 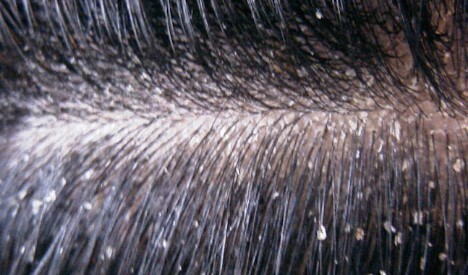 It may cause joint pain, fatigue, hair loss, sensitivity to light, and fever. Gout: This type of arthritis happens because of uric acid crystals problem. If your body is producing too much uric acid and not able to eliminate from your body. Excess uric acid can form crystals in your joints, which result in extremely painful joint inflammation. What causes arthritis and joint pain? Virgin olive oil contains oleocanthal inhibits inflammatory enzymes COX-1 and COX-2, which lubricate your body joints and provide relief from arthritis pain. Massage olive oil on joint gently twice in a day. Alternatively, you can take 1 teaspoon of olive twice in a day. Apple cider vinegar good natural remedy for arthritis pain relief without drugs. It’s a good source of calcium, magnesium, potassium, and phosphorus which help to strength bones. Apple cider vinegar also eliminates harmful toxins from joint. Mix 1 teaspoon of apple cider vinegar and 1 teaspoon honey in a warm cup of water. Drink this mixture once or twice in a day. Another good nature medicine for joint pain relief. Blackstrap molasses contains a good amount of calcium, potassium, and magnesium, which help to function nerve and muscle and strengthen bones. Take one cup of warm water and mix 1 teaspoon of Molasses. Drink this mixture once in a day for better result. Note, it may cause you some laxative effects. Massage is a good way to get rid of joint pain. Mustard oil help stops arthritis pain and inflammation by increasing oil flow. Take some lukewarm mustard oil and massage on body joint. Mixing mustard oil with onion juice and massage on joint helps to get rid of swelling on body joint. Alternatively, Eucalyptus oil works as a natural ointment and stimulates blood flow and reduce joint pain. Anti- inflammatory properties of ginger and turmeric help in oseto and rheumatoid arthritis pain cure. Turmeric also works as an antibiotic which is a good natural remedy to control swelling on joint. You can drink ginger tea twice in a day to get relieved from arthritis in fingers. Take 2 cups of boiling water and add a half teaspoon of each ginger and turmeric. Mix it well and let it be there for 15 minutes and drink this mixture after straining. Take this remedy twice in a day. This home remedy contains magnesium sulfate, which is used to get relief from joint pain hand. Take a bowl full of warm water and add a half of Epsom salt. Mix it well and then dip your joint in this salted water. You can also take bath if you are not able to soak every joint of the body. Cinnamon is a very useful Home remedy for joint pain and inflammation because of its anti-inflammatory properties. Take one teaspoon of cinnamon powder and honey, mix with water. Drink this remedy empty stomach in the morning for one or two weeks. You can also massage the paste of cinnamon powder and honey. Apply this paste twice in a day for weeks, which is good arthritis knee treatment. Dandelion leaves are a good source of vitamins. It contains vitamins A and C, which help repair damaged tissue and help the liver to eliminate harmful toxins from the blood. Dandelion leaves contain linoleic fatty acid, which helps to function immune system properly. You can take dandelion leaves in salad. Dandelion tea is also very good for arthritis pain. Take 3 teaspoons of fresh leaves or 1 teaspoon of dried leaves and steep in boiling water for 5-8 minutes. Strain this and drink twice in a day. You can add honey for taste because it’s very bitter in taste. Alfalfa is a good ayurvedic medicine for arthritis pain treatment because it helps to maintain pH level in the body. Drink alfalfa tea twice in a day for a couple of weeks to get rid of joint pain. Take on a teaspoon of alfalfa seeds and boil in water for 10-15 minutes with the lid on. Strain this mixture and enjoy the tea. Alternatively, you can take one alfalfa capsule daily. Juniper berry tea contains terpinen-4-ol, which is proven component for arthritis pain relief. In addition, it also helps the immunity system to work properly and get rid of rheumatoid arthritis. Take one teaspoon of dried juniper berries and dip in a cup of boiled water for 5 minutes. Strain this mixture and drink twice in a day. You can add honey for taste. Exercise is very important for people suffering from arthritis. It helps to strength bones and flexibility, it also reduces joint pain and also a good prevention from arthritis. Swimming and 10-15 minutes of stretching is a good cure and also prevent from arthritis. You can do yoga at home and for instruction, you can watch videos of Baba Ramdev at YouTube. Go for jogging in the morning is also a helpful exercise for knee arthritis pain. Washing dishes with the hand is good for arthritis in hand. Maintaining a good diet is very important in arthritis problem. The following food will help you to recover faster and make your body joint stronger. Add Olive oil to the diet for arthritis treatment. Calcium rich food is good for bones and also help to get rid of arthritis. Eat less salty food to avoid Arthritis (joint pain).